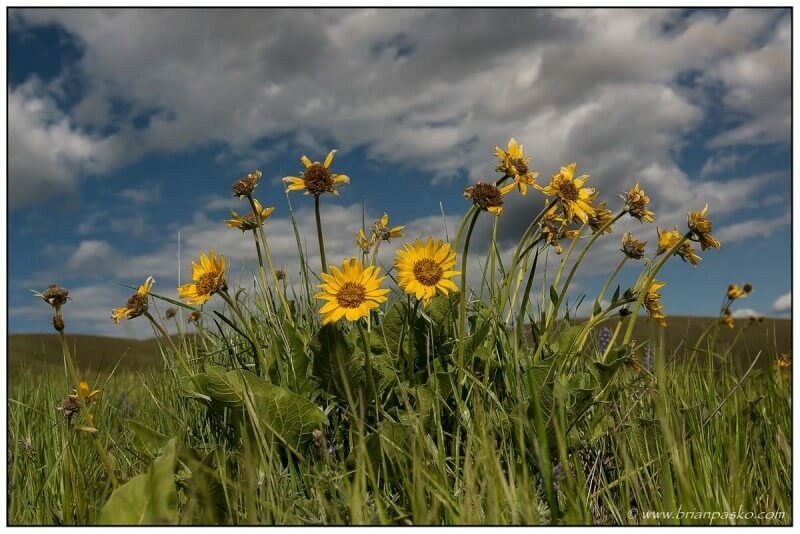 I found my way up into the Columbia Hills just a few weeks to late this year — the Balsamroot blossoms (those big yellow flowers you see below) were just a bit past their prime. But, with a background full of beautiful billowing white clouds against a bright blue sky, I couldn’t not take the shot! The Columbia Hills are located on the Washington side of the Columbia Gorge, just past Horsethief State Park near the Dalles. It’s a pretty amazing place for spring wildflowers, and is a well known destination for hikers and photographers alike. As always, you can click on the image below to see a larger version.